As part of their research into the shopping preferences and habits of Britons, an online voucher code website has conducted a study to discover what people would like to see when shopping in the next 10 years. The findings inspired concept images outlining how we may shop for clothes in the future and what features people would like to see. The fashion world is always quick to embrace new technologies. Now researchers at an online voucher code website have unveiled concept images detailing the findings from their recent study which revealed how Britons would like to shop for their clothing, shoes and accessories in the future. The team at My Voucher Codes polled 3,486 UK adults aged over 18 as part of their study, equally split between men and women. Those polled were initially asked how much time they spent shopping for clothes each month. The majority of female respondents (26%) stated that they spend around 3-6 hours shopping in stores, whilst the majority of male respondents (46%) said they spent 1-2 hrs clothes shopping per month in store. The participants were then asked to reveal how important technological changes in the way we shop were to them. The majority, 43% agreed that they are ‘very important’. Which ideas do you agree with? I personally quite like the social media connected changing rooms! 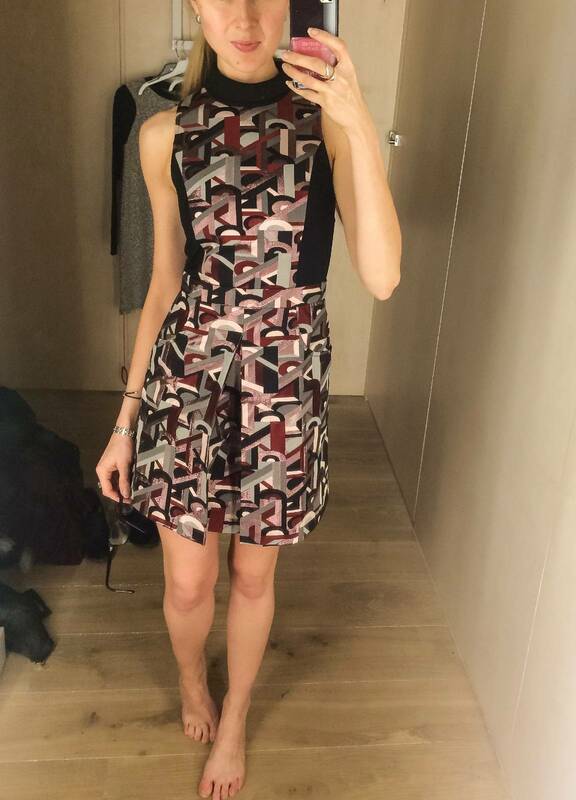 Last night I actually posted a photo of myself wearing a dress in the changing rooms of River Island, to call upon the advice of my followers. It’s definitely something more ladies are doing for sure – especially us blogging types!